The logistics of filling a prescription can be annoying, and Capsule is making sure that changes. In fact, the newly launched Manhattan-based pharmacy is making it so that New Yorkers never have to step foot inside a pharmacy to get their medication. Say goodbye to long waits, awkwardly asking questions about your birth control pill in front of strangers, and all the back-and-forth phone calls between doctors and drugstores. So how does it work? All your doctor has to do is electronically file your prescription with Capsule, which most doctors have the ability to do these days. And all you have to do is log into the app, schedule a time and location for delivery, and enter your form of payment. Like traditional drugstores and pharmacies, Capsule takes insurance—but unlike them, this next-generation pharmacy also has a live chat feature for any questions that could come up, no matter how embarrassing (you can dial in Monday through Friday from 8 a.m. to 10 p.m. and Saturday to Sunday from 10 a.m. to 6 p.m.). 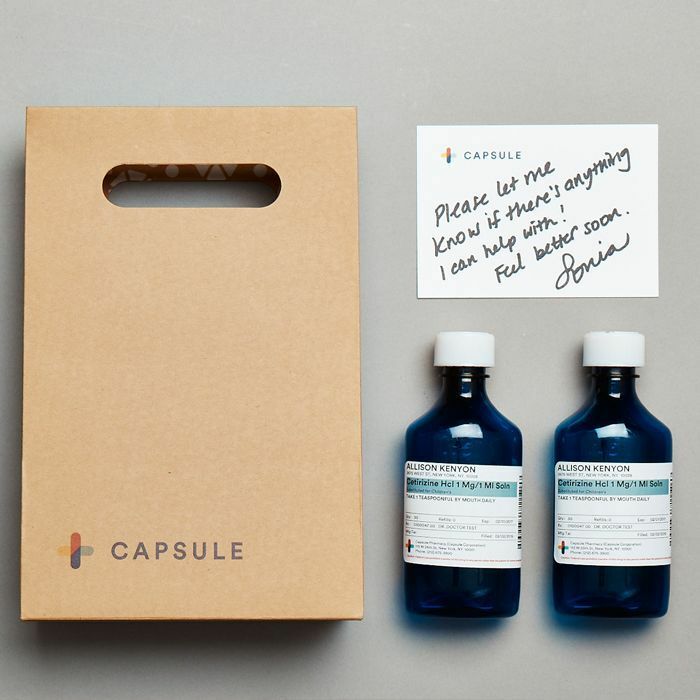 Capsule has a brick-and-mortar location in Chelsea so customers can rest assured that their meds will be properly handled because there is no third party or mail-order involved. They also use a predictive inventory management system so that when you order, your particular medication will be in stock and you won't have to deal with the headache of having your doctor call in a different one or waiting days to get what you need. The best part about this fantastic app is that it's totally free, all you have to pay for is your medication. And if you don't need Rx's filled regularly, consider this your saving grace the next time you're sick in bed. Did someone say game changer? We think so. Would you use the Capsule Pharmacy app to get your medicine delivered straight to your door? Tell us in the comments, and shop our summer drugstore beauty picks.